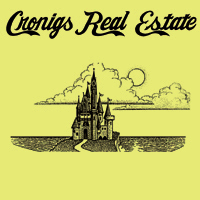 For over 86 years, Cronig’s Real Estate has helped the natives, newcomers and seasonal residents with all of their Martha’s Vineyard real estate needs. That’s four generations of knowledge and experience in a family-operated real estate business that began when the streets of Tisbury were merely gravel roads. We are REALTORS®, members of the Cape Cod and Islands Board of Realtors, Massachusetts Board of Realtors, and the National Association of Realtors. We strongly believe in their strict code of conduct.